The 2016 Australian Open golf tournament on the PGA Tour of Australia is taking place this week from November 17-20, 2016, at the Royal Sydney Golf Club located in the Sydney suburb of Rose Bay, New South Wales, Australia. Here is a list of the prize money up for grabs for the players at the 2016 Australian Open. Americans are paying attention to the 2016 Australian Open because Jordan Spieth is playing in the tournament. Jordan Spieth won the Australian Open in 2014. Other famous golfers to win the Australian Open in recent times include Adam Scott in 2009 and Rory McIlroy in 2013. Total prize money up for grabs at the 2016 Australian Open is just under $1 million. 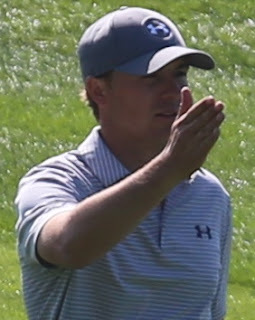 No doubt Jordan Spieth has accepted a pretty hefty appearance fee for the 2016 Australian Open that is likely more than the total prize money for all the golfers this week. All prize money listed here has been converted from Australian dollars to American dollars at the current exchange rate of .75. The winner of the 2016 Australian Open will earn $168,073. Last year's winner was Matt Jones from Australia. Second place is worth $95,241 at the 2016 Australian Open. Jordan Spieth and Adam Scott finished tied for 2nd place here last year just one shot behind Matt Jones. Third place at the 2016 Australian Open is worth $63,028.